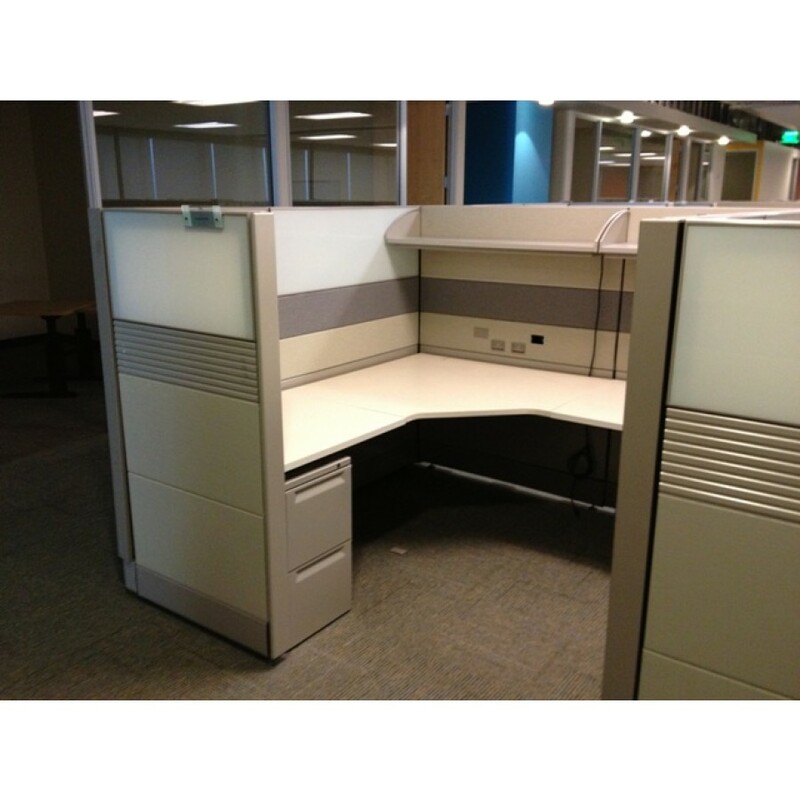 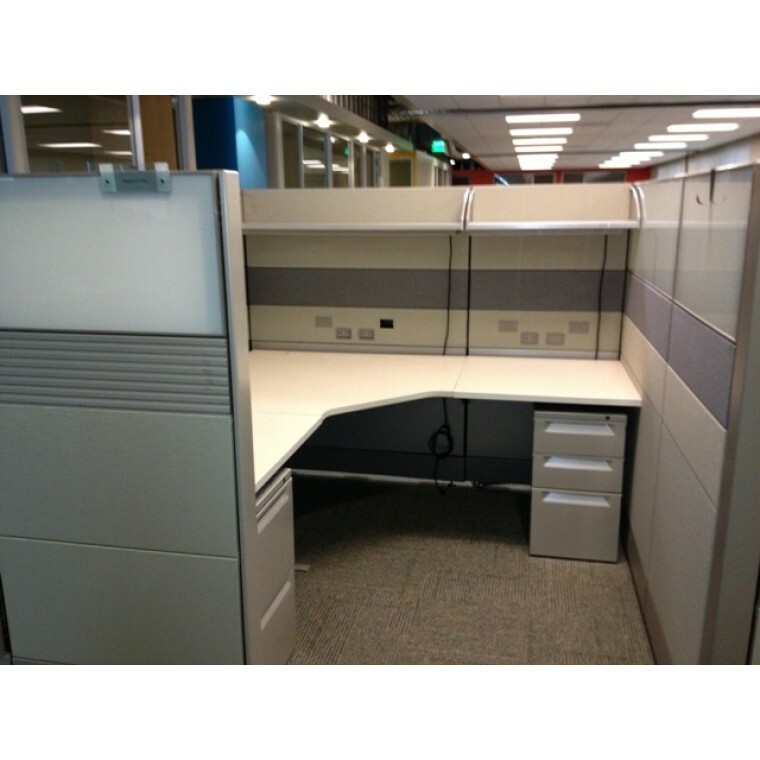 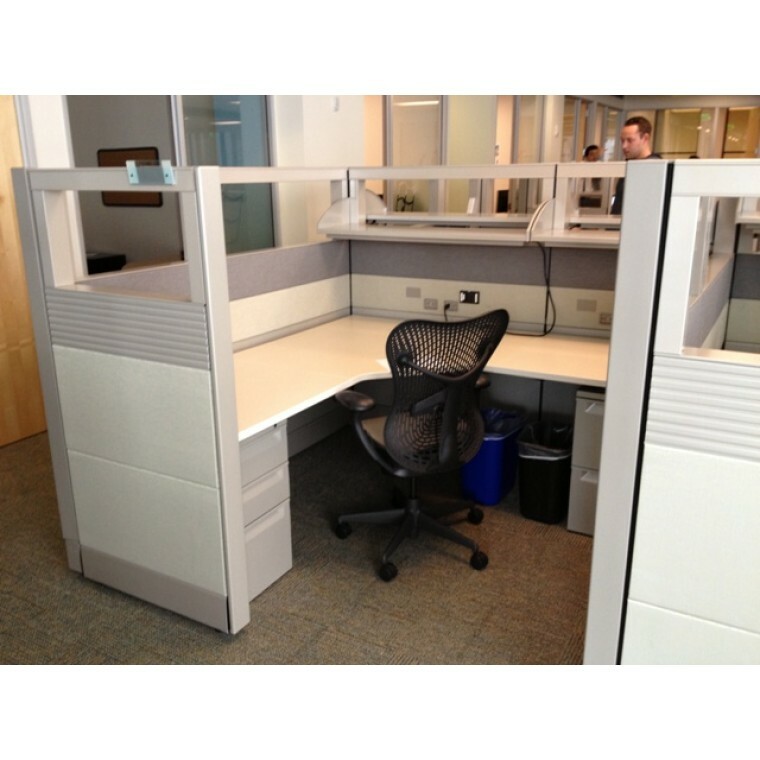 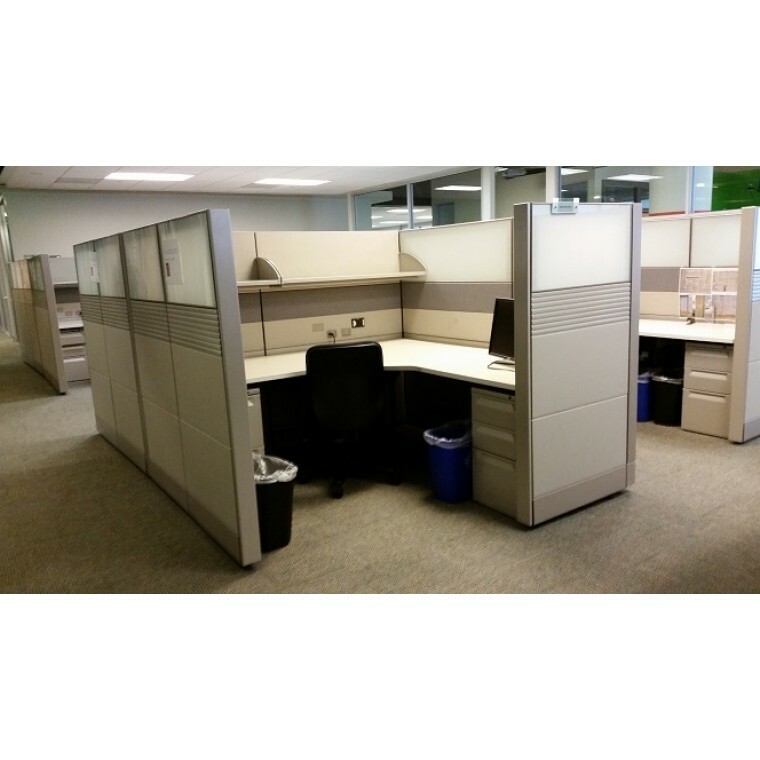 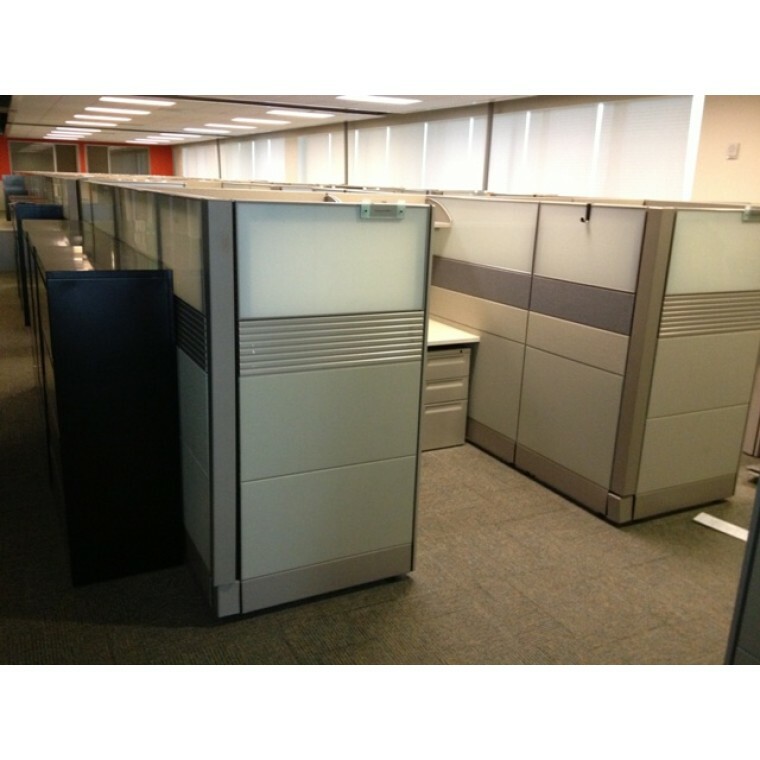 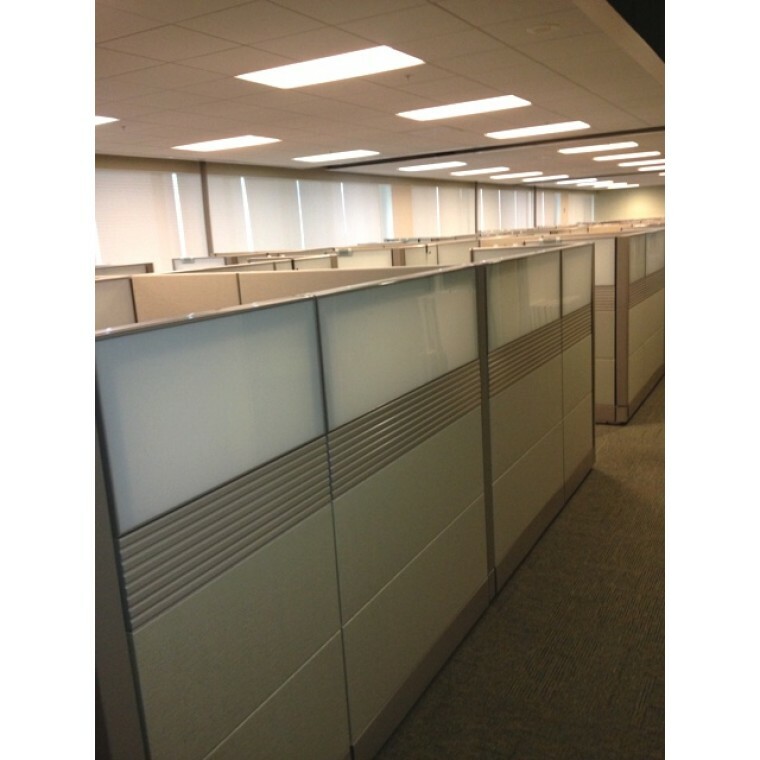 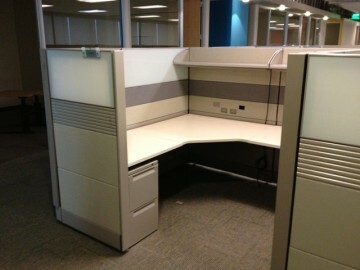 Herman Miller 'Ethospace' (6.5' x 6.5) stations 62"H - These are Herman Miller's top of the line modular system and give any office a high-end, contemporary 'frame and tile' look. These stations come with tons of Frosted glass tiles, higher grade fabrics and even rail tile for paper flow management. 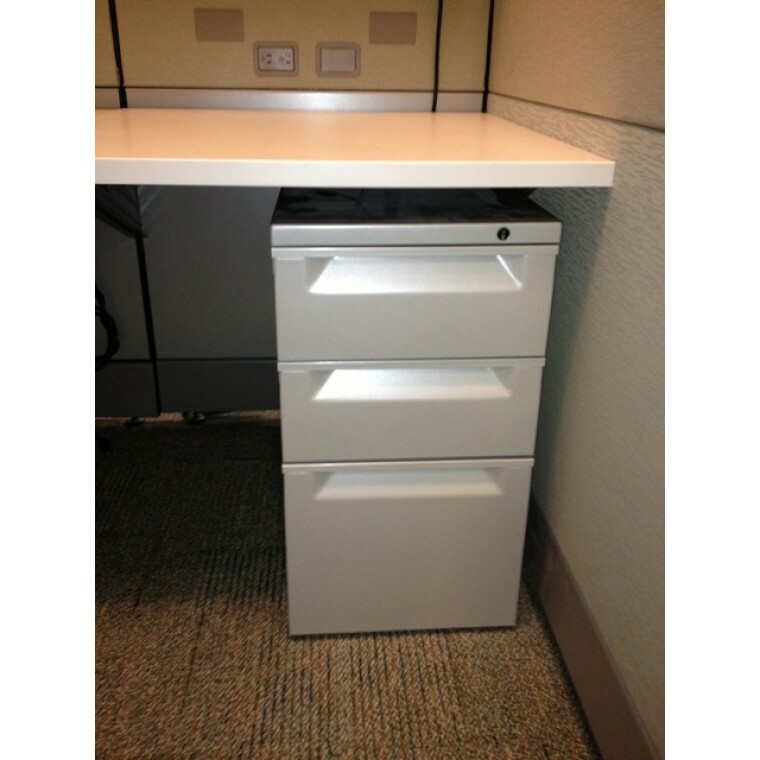 Each station has (1) BBF pedestal, (1) FF pedestal, and (2) shelves with task lights. 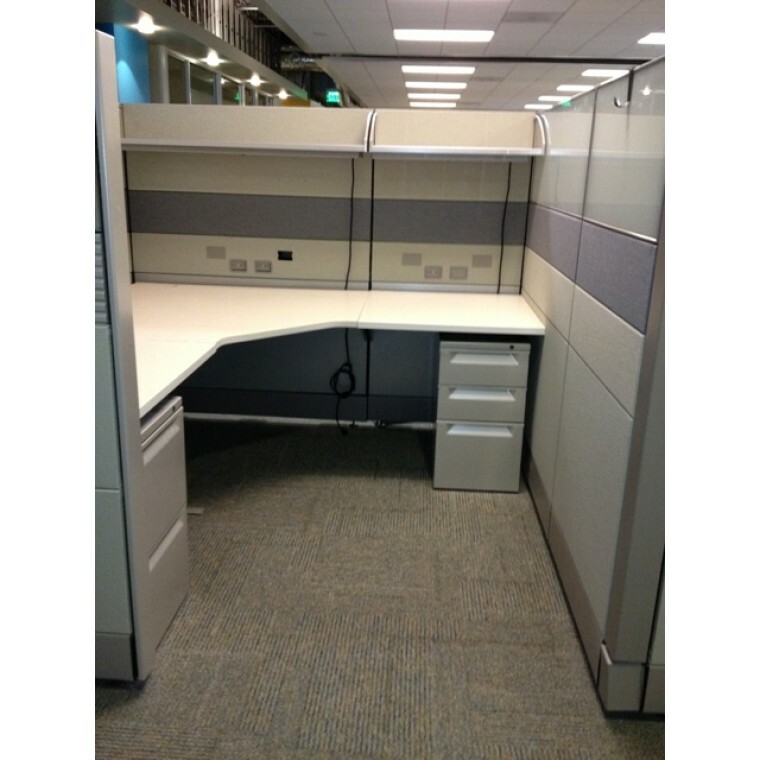 Call to consult and space plan these gorgeous stations into your office today !